The Vitro range of stainless steel Horizontal Plate Type Filter Presses are made to special modular design that guarantees precisely the right filtration requirements for each application. 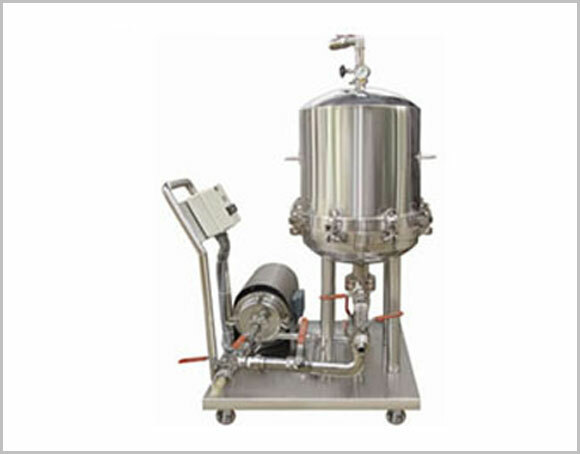 Available in a wide range of output capacities, with different number and height of filter plates, as well as a choice of flow pumps, the Vitro Filter Presses meet customer’s exact need. Meets GMP and FDA norms. Construction follows the latest standards. Fabrication is under taken to codes appropriate to customer. Available with Centrifugal / Gear / Lobe/ Roto pump. Top lid fitted with pressure gauge, safety valve & air vent. Gives crystal clear filtration. Available models: 8, 14, 18, 24 & 33 inches plate diameter. All contact parts made out of SS 304/ 316/ 316L. High degree of finish to all contact parts. 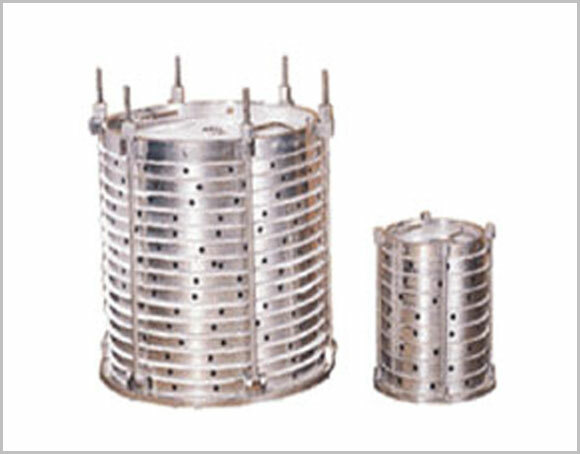 The typical Vitro Filter Press consists of a sturdy 304/316 quality stainless steel shell with a top cover held in place with tightening bolts, a filter cartridge assembly consisting of several horizontally arranged disc type filter plates with perforated supporting screens. Filter media and interlocking cups. The entire assembly, complete with pump and piping connections, is mounted on a suitable stand fitted with castors for easy movement.